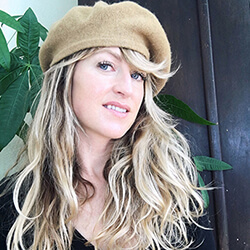 Sara Crow is a licensed acupuncturist and herbalist with a Master’s degree in Traditional Chinese Medicine. Her holistic medical approach incorporates herbs, nutrition, acupuncture, medical intuitive and qi gong work, essential oils and her specialty, flower essences. Sara has a deep appreciation for the healing capacities of plants, especially that of flowers. She has devoted a significant part of her life to educating others around the therapeutics of flower essences, a bioenergetic preparation of flowers. She is a flower essence educator and is the creator of FlorAlchemy, Floracopeia’s flower essence line. Her distance learning course, A Flower’s Power: A Course in the Energetics of Flower Essences, is one of the most comprehensive courses on the subject covering flower essence application at both a grassroots and clinical level.